VELIKA KLADUSA, Bosnia-Herzegovina (AP) — It is biting cold near the border of Bosnia and Croatia, and nothing really keeps the migrants camping there warm. After a mild autumn, the weather in the Balkans gave way to gray skies, plunging temperatures and cutting wind. 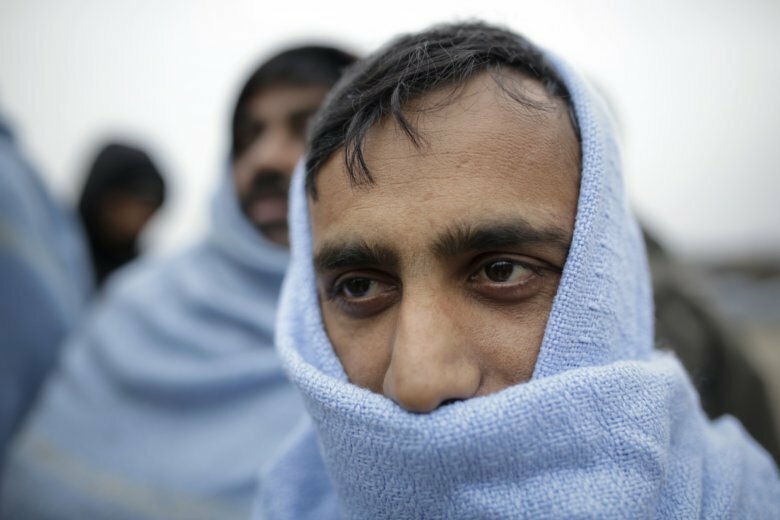 The approach of another winter announced tougher times for migrants stuck in the region while trying to reach western Europe. Hundreds of migrants are staying in make-shift camps with no heating or facilities. Some are fleeing wars in their home countries in the Middle East Africa or Asia. Others have been driven away by poverty, lack of freedom or hope for the future. One such camp is in the town of Velika Kladusa, in northwestern Bosnia, only about a kilometer (mile) from the heavily guarded border. Dozens of migrants spend days and nights here trying to cross into Croatia, a European Union member nation a short distance away that holds the promise of easier travels. Migrants turn to Bosnia to avoid more heavily guarded routes elsewhere in the Balkans. As a European Union member, Croatia is easier to pass through toward wealthy EU countries where they hope to find work and start new lives. Many spend months, or sometimes even years, on the road. After their long journeys, many migrants don’t have winter shoes, warm socks, caps or gloves. They wrap themselves tightly in blankets, leaving their faces barely visible. At lunch time, they line up for warm meals provided by aid groups. They eat among garbage-strewn, grim-looking tents made of nylon, ropes and cardboard. At night, the travelers gather around camp fires warm up or cook. Some say their hands have turned blue from cold and they don’t know what to do. Bosnian authorities have been struggling to accommodate migrants who arrive in a country still recovering from a brutal 1992-95 ethnic war. Some of the wayfarers refuse to go to government-run camps, choosing to take their chances at the border instead.